This is an untold history in Malaysia. We used to learn that General Yamashita is the Harimau Malaya(The Tiger of Malaya). Actually General Yamashita is a scum who make a big mess in Tanah Melayu or Malaya (now Malaysia). Tani Yutaka is the real Harimau Malaya ! 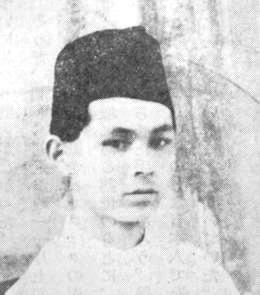 Tani Yutaka is born in Terengganu, 1910. He is the son to the japanese family which have their own grocery shop in Hulu Terengganu. He like to wear baju melayu and songkok (malay traditional's attire). Does he look like a Japanese to you? His house in Terengganu still exist until 1940's. In 1930's, Japan invaded Manchuria has caused the chinese people to revolt against those japanese who abroad China. Shizuko, Tani Yutaka's sister was the victim of that revolution. His sister was raped and killed in Terengganu. 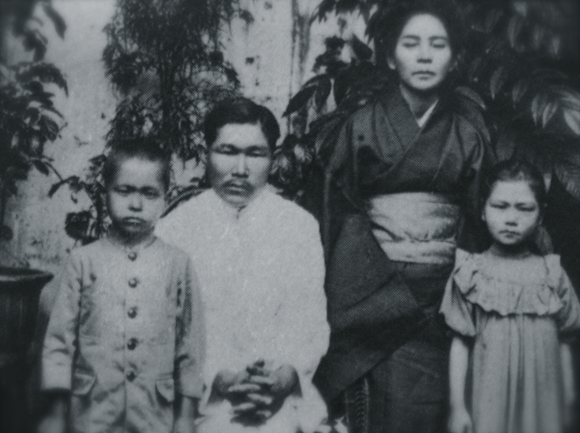 This tragedy became worsened when the killers of Shizuko were freed by British court as the colonial Malaya at that time..
Shizuko is second from right. Since the death of his sister did not get proper justice, Tani Yutaka formed a yakuza group in 1933 for revenge. He and the gang destroy all chinese and British business in Terengganu. Most members of the group were accompanied by the Malays. 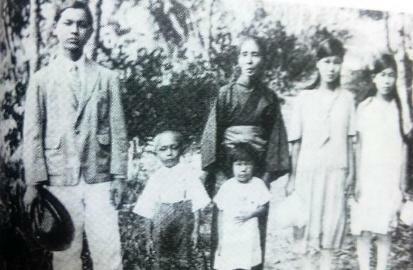 There are other claimants to the "Tiger of Malaya" sobriquet including Tani Yutaka and Tengku Mahmood Mahyiddeen. Yutaka was a japanese youth who reverted to banditry in Kelantan and Southern Thailand after his sister Shizuko was murdered by Chinese mobs in Kuala Terengganu during anti-Japanese riot in November 1932. Their acquittals by the colonial court was a turning point for Yutaka and his band of robbers terrorized the east coast states using southern Thailand as their base. 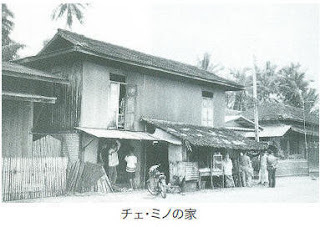 At the time of the Japanese invasion his band of "merry men" numbered about 100 including Malays. Later the group work closely with Fujiwara Kikan then headed by Major Fujiwara Iwaichi. His exploits were later made into film during the war and shown to local audience during the occupation. 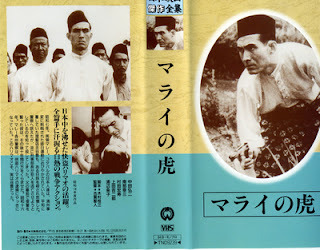 Tani Yutaka and the gang continue to sabotage the British in World War 2 until he died of malaria in Johor. I am impressed by this Marai no tora clip from youtube. 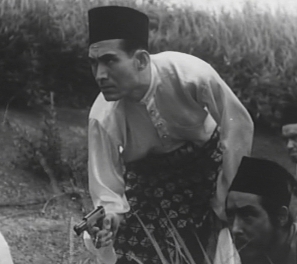 Even the actors were japanese but the clothing were Malays! Do you notice the song at the entrance? If you are Malaysian, that song is very familiar..
Muhammad Darius Shah, thanks bro. siapa sangka orang jepun pun guna lagu "rasa sayang" untuk movie tahun 1940-an. waaa x pernah lg tgk ni. Thanks for sharing dude. Shah URL, ads apa yang menarik tu?